When was the last time you had a girls night out? How about a night out with your bestie? Just the two of you bonding over a drink, some dinner, and maybe a little music afterwards? I know the feeling. Schedules are busy. Kids get in the way. It's tough to set aside time for even the best gal pal. I have the perfect reason for you and your BFF to get together for a fun night on the town. How does a girls' night out to a Bon Jovi concert sound? An evening of this? Uh, yes, please. No, I am not kidding. This is for realz. And if you're still not convinced. Let me break it down for you. 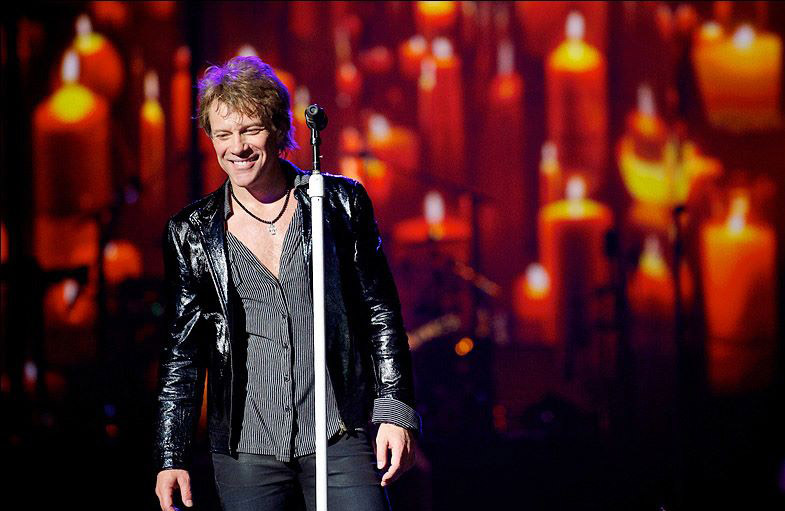 Here are the top 5 reasons why a Bon Jovi concert makes a great girls night out. 5. The line for the ladies room might be long, but the men's room will be empty! 4. No one will judge you for screaming "I'LL BE THERE FOR YOU...!" at the top of your lungs. 3. You know, and don't deny it, that you and your bestie have been waiting for the perfect moment to resurrect your big hair. 1. Three words: Jon. Bon. Jovi. Nuff said. 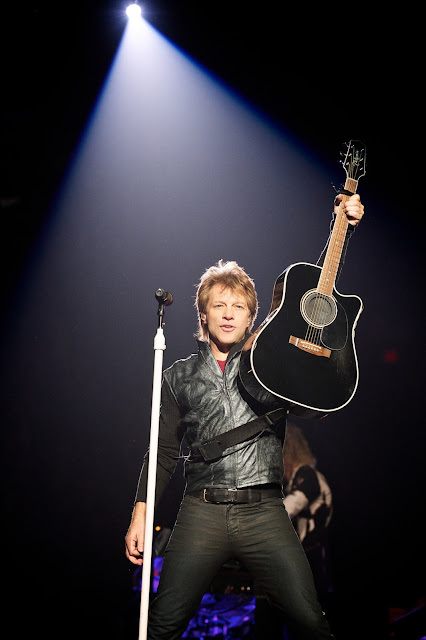 Bon Jovi is kicking off its summer Because We Can tour, and here is your chance to be a part of it. Pieces of a Mom is giving away two (2) tickets to Bon Jovi's "Because We Can" tour stop on July 27, 2013 at MetLife Stadium in East Rutherford, NJ. 1. One lucky winner, 18 and over, will receive 2 tickets to see Bon Jovi's Because We Can concert on Saturday, July 27 at MetLife Stadium in East Rutherford, NJ. 2. Seat assignments are made the day of the concert. Please do not contact Pieces of a Mom to ask for seat assignments. Giveaway sponsor assures me that the ticket winners "are never disappointed". 3. Winner must reside within the following states: New Jersey, New York, Connecticut, and Pennsylvania. 4. Winner's tickets will be available for pick-up with a photo ID at MetLife's Will-Call box office an hour prior to the concert's start time. 5. Concert will begin at 7:30 pm with the J. Geils Band as the opening act. 6. All entries for this giveaway will be made via Rafflecopter. One mandatory entry is to follow Pieces of a Mom on Facebook. 7. Winner will be selected using Rafflecopter on July 4th. Winner will be notified via email and will have 24 hours to respond to claim the prize. 8. Attend the show with your best gal-pal and enjoy a fabulous night out. Disclosure: In addition to receiving a pair of concert tickets to giveaway, I also received a complimentary pair for myself. I did not receive monetary compensation to run this giveaway. All opinions are my own.